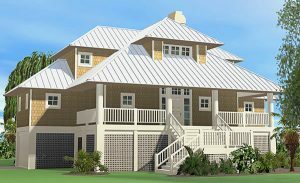 Our house plans with roof decks provide a connection to the outdoors and shelter for the space below. 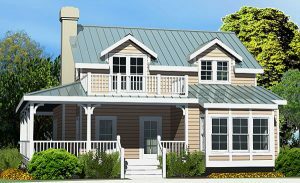 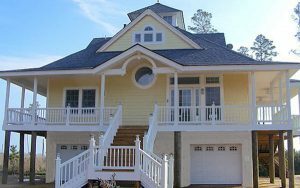 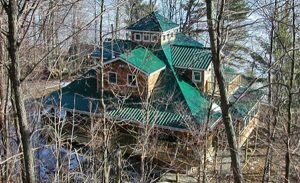 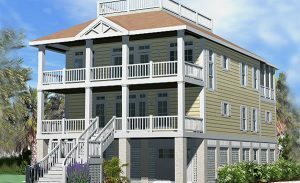 The smell of the seabreeze or fresh mountain air is just outside the door of your second story bedroom in our roof deck house plans. 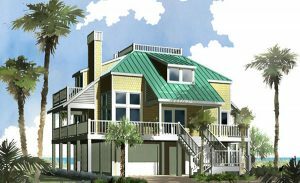 Several of our house plans feature a roof-top observation deck to provide a panoramic view and provide your own private sunbathing deck or gathering spot high above the crowd overlooking your neighbors roofline for a glimpse of the ocean or distant view.